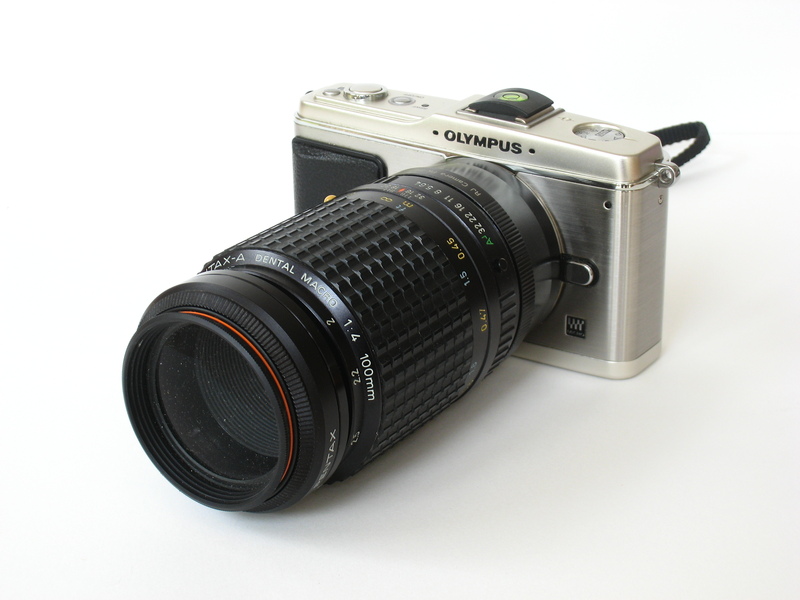 Since acquiring an Olympus E-P1 in 2009, I have developed quite an extensive collection of legacy lenses to use with the camera. 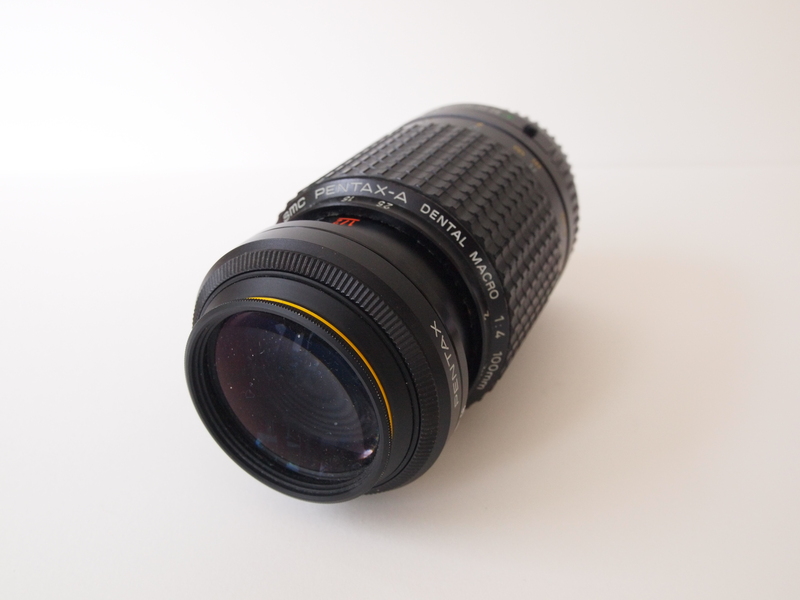 One of my favorites, and also one of the more interesting ones, is the SMC Pentax-A Dental Macro 1:4 100mm. 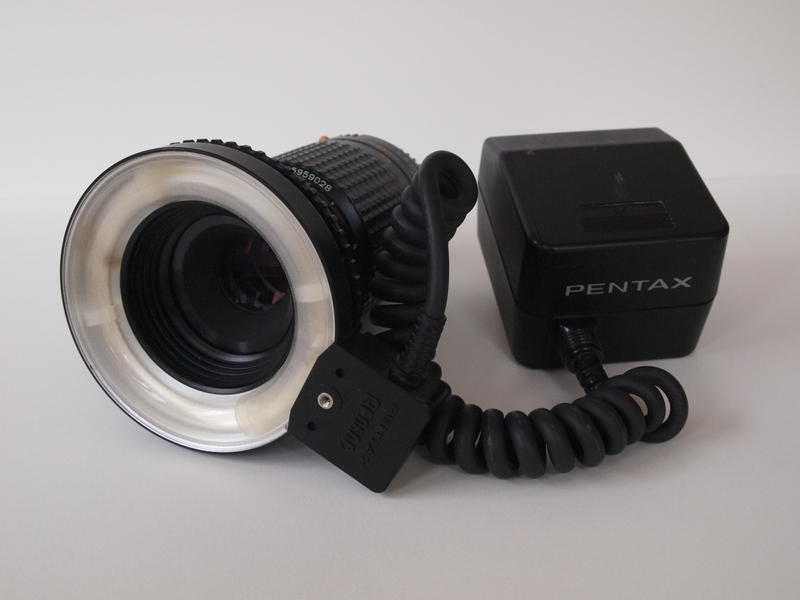 An excellent lens by itself, this unit is part of a kit that includes a ring flash, and two matching close up adapters. The lens is K-mount, and appears to be dust sealed; a very high quality lens. The flash unit can only be used as a manual unit with micro 4/3 cameras, and is rather bulky to use attached to the E-P1, but it works extremely well off camera, in conjunction with a wireless remote. The close-up lenses attach to a magnetic holder that normally screws on to a 58mm thread on the front of the ring flash; I use a 49-58mm step up ring which allows me to use the adapter system on the lens directly. The scales on the macro lens are coloured (white, red and yellow) and correspond to the macro lens with adapters, or with the red or yellow adapters fitted. 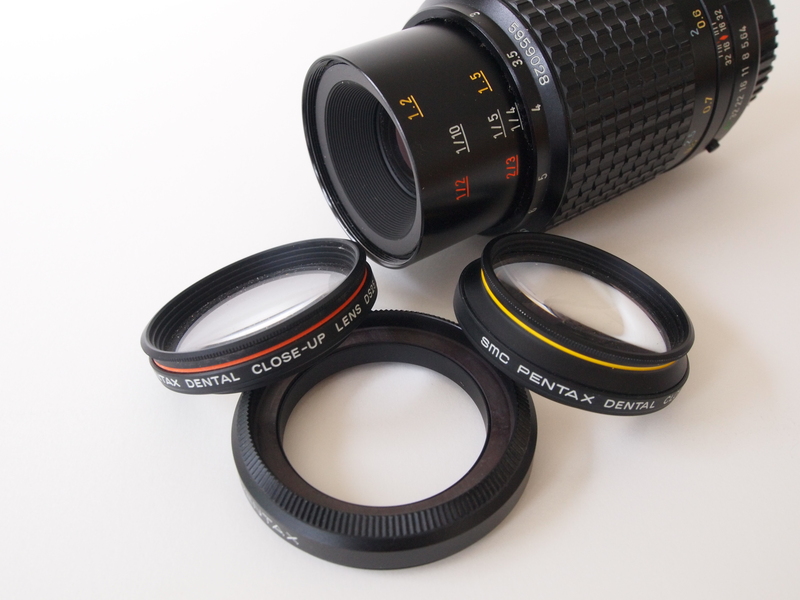 The lens is capable of 1:2 reproduction with no adapters, 1:1 with the red lens, and 2:1 with the yellow. The lens are held in place very securely, and the system makes for very rapid changes in the field. 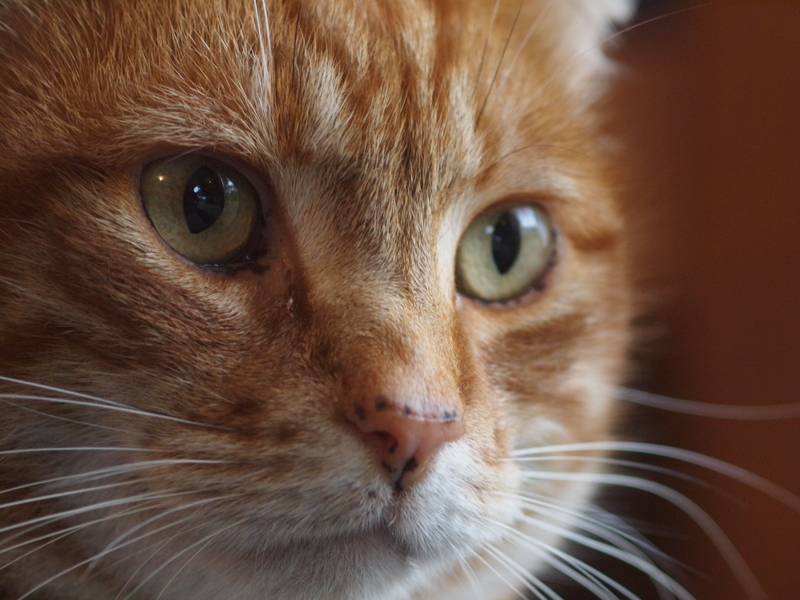 The same lens system work well with other legacy primes. 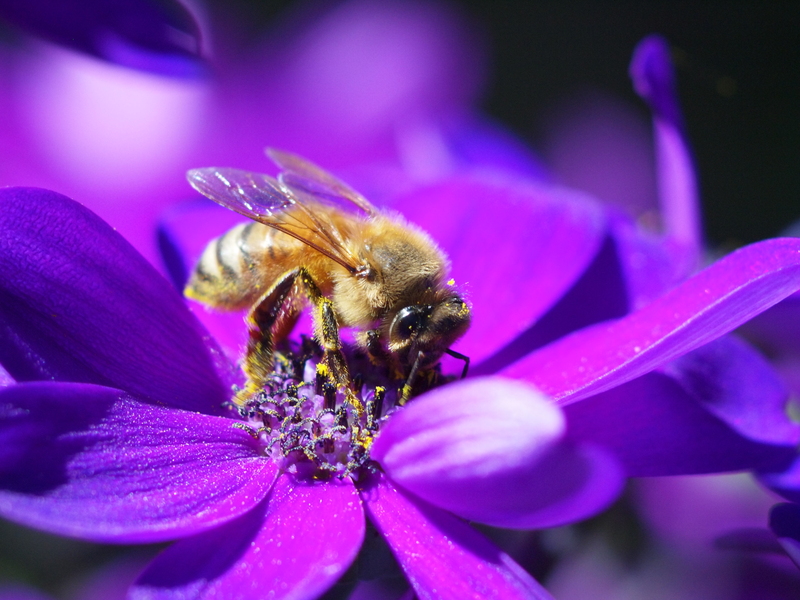 I have several macro lenses, and the Pentax is a great middle ground – by itself, it produces good magnification and handles very nicely on the E-P1, with a good working distance for lighting and insects. Of the lenses above, the OM 50/3.5 has a short working distance, but is a useful general lense and pocketable, while the Tamron 90/2.8 has spectacular performance but is somewhat bulky so less useful when carrying around. Unfortunately, the close-up adapters reduce the working distance significantly, but it is great to have the option to use them if necessary. Unfortunately it isn’t easy to use a lens hood with the adapters fitted. The 100/4 fits the E-P1 well, and the system is very pleasant to handle. Unlike the Tamron 90/2.8, the 100/4 does not hang below the camera base plate (which can be an issue with some tripod plates and macro slides). Output is quite pleasing – sharp and fairly resistant to flare (a problem with many legacy lenses), good contrast and saturation. 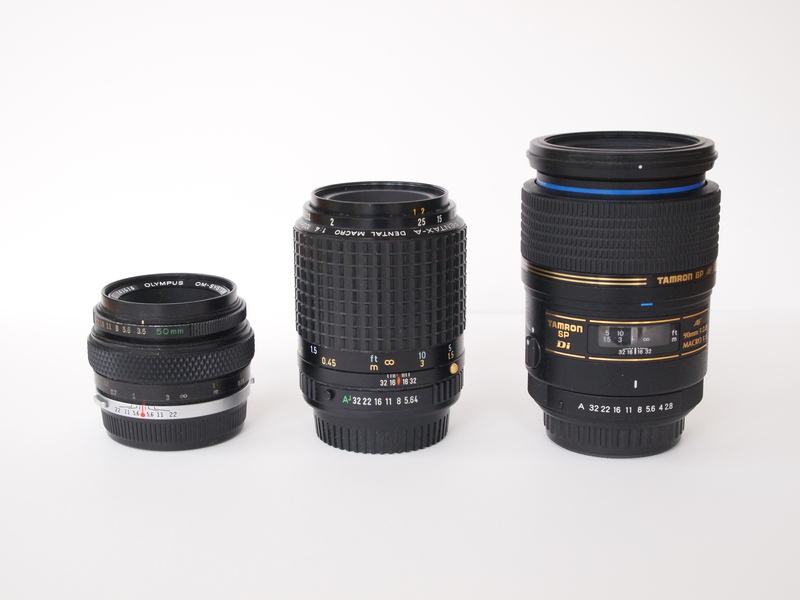 These lenses are not common, and well worth watching out for. The copy that I have is absolutely mint, having only ever been stored and used in a clean and climate controlled environment. Highly recommended.